And they were. No sermonizing but the message of the songs were loud and up-front. 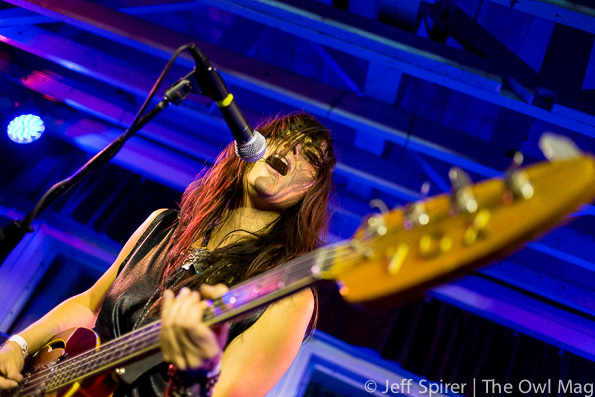 The Last Internationale lyrics, sung by Delila Paz, can be traced back to Woody Guthrie, with the music ranging from a capella to punk and hard rock. Pushing the range in farther, the band covered Neil Young’s “Hey Hey, My My (Into the Black)” as a folk rock anthem. Paz played bass, acoustic guitar, and harmonica in addition to her strong voice. So strong that she sang a capella away from the mic and could be heard all the way to the back. 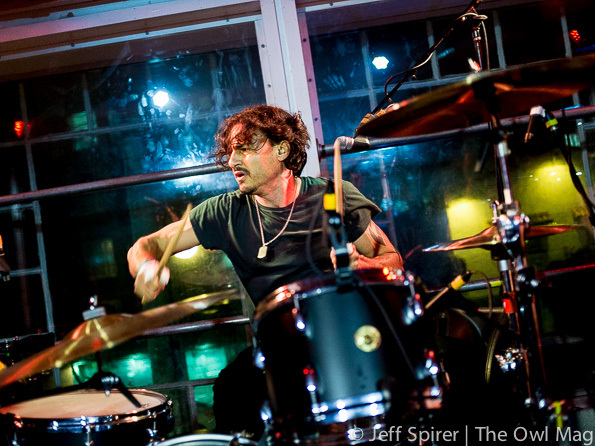 Drummer Brad Wilk, from Rage Against the Machine, rounds out the core trio with energetic drumming and occasional backing vocals. 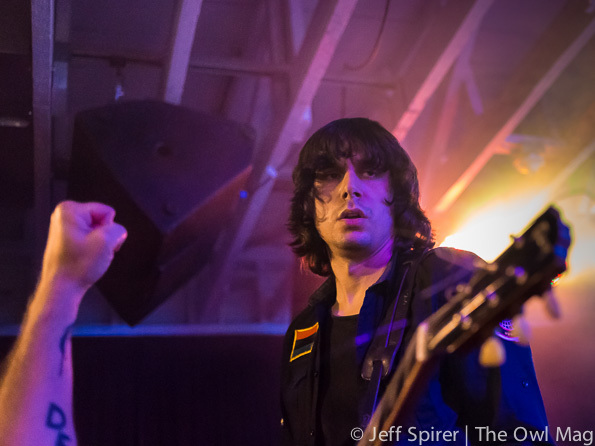 While some of the audience came to see Wilk, they left knowing they had seen The Last Internationale, the band. Many of the songs came from their recently released We Will Reign. The band closed the show with “1968,” which closes the album, an ode to the protests of the late 60s in the US, France, and around the world. Pires jumped off the stage with the guitar and finished deep into the crowd with a fiery guitar solo. 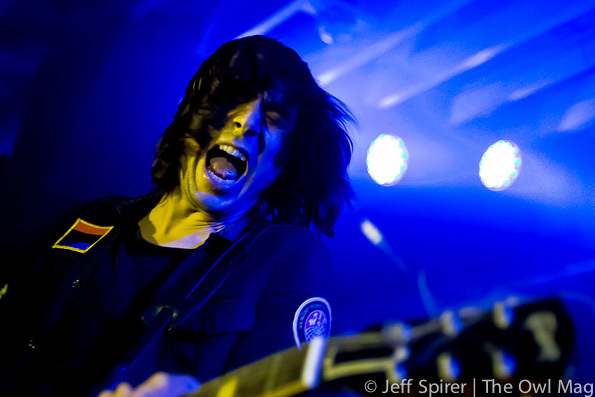 Check out more photos of The Last Internationale bringing protest music to the 21st century HERE!